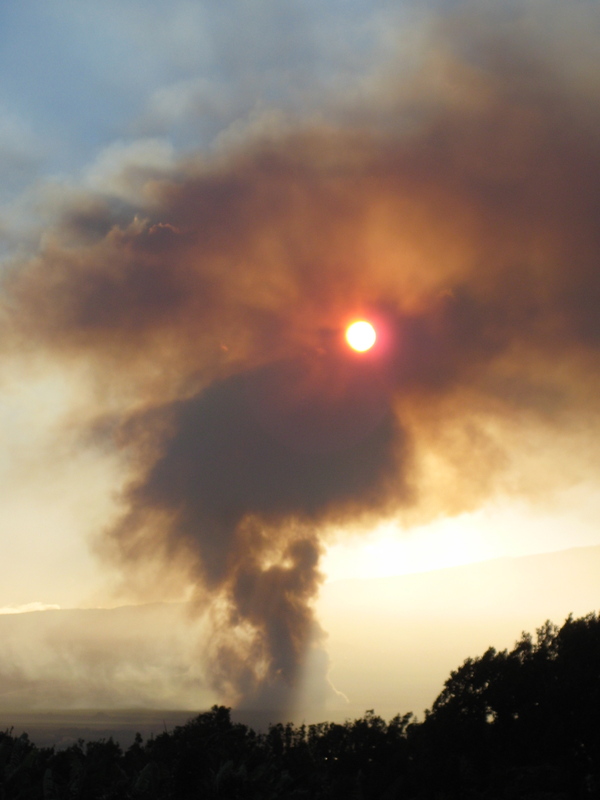 This is a picture of the sun rising behind the smoke from the burning of the cane fields in Kahului, Maui on 11-7-10. Fire energy is rising again, yet the light of the sun can be seen to be shining through the smoke, and so it is with us. The sun is a wonderful Source of Divine Masculine Energy. Invite it to blaze through any smoke screens remaining in your life and penetrate you with it’s truth and love light. 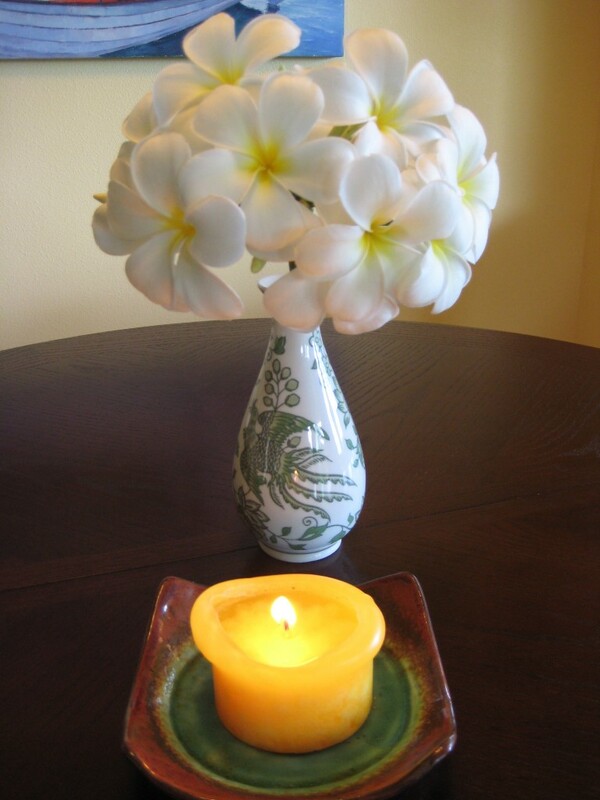 Plumeria, sweet symbol of Aloha, extends a deep welcome to each of us to stay centered and committed in clearing away the smoke and allowing the light to both reach us and radiate from us. Place one hand on your higher heart with the fingers gently over the throat and the other hand on the bridge of nose/forehead area. Gaze at the Plumeria and breathe deeply. Know that you will be welcomed through whatever smoke or illusion you must pass through, into the truth of knowing your Divine Self and speaking your truth from your heart. I asked my guides to help me draw a tarot card for us all with a message for these last weeks of the year: it is the “Sun” card. 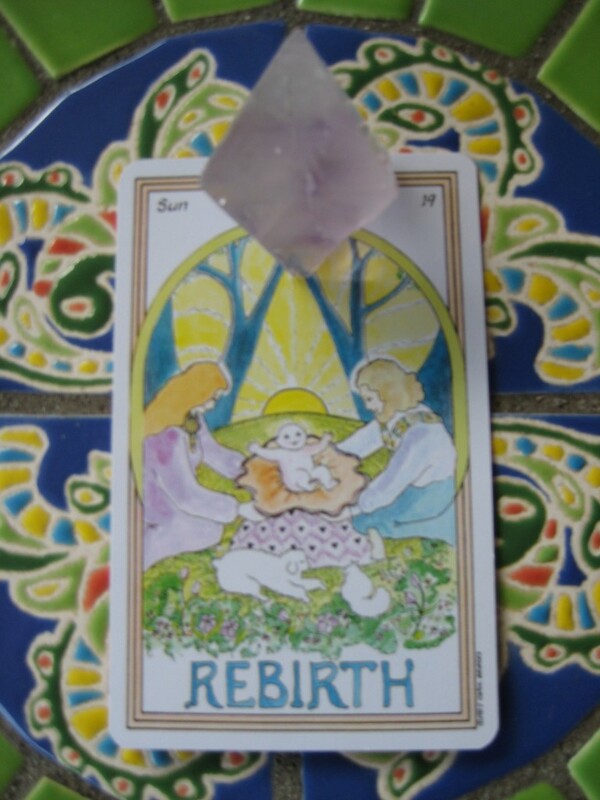 We are receiving beautiful confirmation of the Divine Masculine, and the Christ-Consciousness, coming to help us rebirth ourselves in greater balance, harmony and Love. Blessings to each and every One on their way. – Interested in this tarot deck: It comes from “The Medicine Woman Tarot Deck” by Carol Bridges. She also has an exquisitely written book, “The Medicine Woman Inner Guidebook” about this deck.